Buraco Classic – game rules. User interface – see how to play Buraco Classic on GameDesire! Achieve the target and claim victory over the opponent! After launching the application you will encounter the main Lobby window. It's divided into your profile information and available rooms section. You must log in before joining any room or game. Play / Look - the easiest way is entering in an existing table, created by another player. 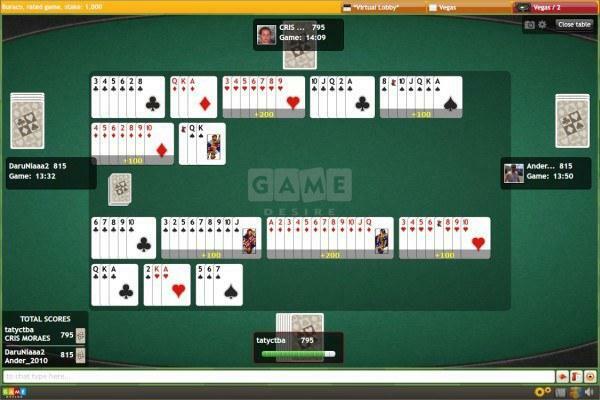 This option allows you to access a table and start a game. 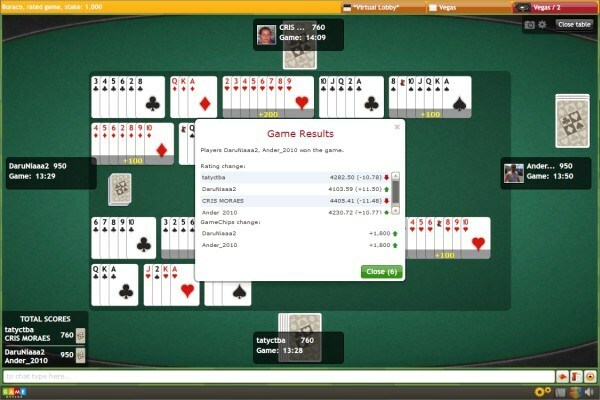 At the tables list, you can check detailed information, such as available tables, number of players, duration, play for points, etc. Create table - the second option is the "Create table" button, viewed below the available tables list. This option permits you to create you own table, according to your own chosen parameters. 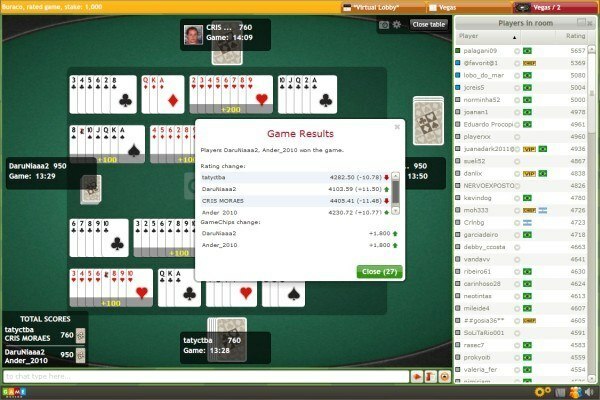 The number of tables allowed for each player is defined by the administrator of the room. You can create a table quickly, with preset parameters, clicking on the “Play Now” option. The game will be automatically started with, at least, two players. When you're creating your table, remember that its settings can be adjusted only before you started the game, not while you are already playing. Find me a place – you're led to a table where there's an available place to start the game. In chat window you can see what other players are writing in the main lobby of the particular room you are currently in. Private chats are available too (just click the chat icon), as well as the “Report Abuse” (used when somebody breaks chat rules) and “Chat defines” (used to create shortcuts for frequently used phrases). You can also use emoticons. הצטרפו למליוני שחקנים! שיחקו וטעמו את הניצחון!